We just received one Juniper MX480 router. 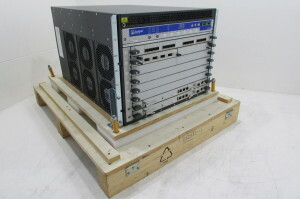 Juniper MX480-PREMIUM2-AC – Base system with redundant RE-S-1800x-16G, MX960-SCBE, and 4x 2520w AC power (I can supply DC power at the same price!) . It arrives tested working with a 1 year warranty. Let me know if you have a custom configuration in mind! This entry was posted in JUNIPER and tagged MX480, MX480-PREMIUM2-AC on February 16, 2017 by nwrusa.